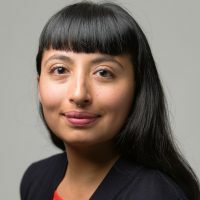 Alejandra comes to Borealis with a background in philanthropy and grassroots community work, primarily in movements for racial and immigrant justice. Previously, she provided program and administrative support to the Four Freedoms Fund, an immigration reform funding collaborative housed at NEO Philanthropy. Alejandra also worked at Olneyville Neighborhood Association (ONA) in Rhode Island, teaching computer literacy, grant writing and building the membership base. In 2008, Alejandra received training from the Center for Third World Organizing and interned as a community organizer at the Transnational Institute for Grassroots Research and Action in Oakland, California. She graduated from Brown University with a bachelor’s degree in Ethnic Studies.